Craig Cashman has extensive experience in the Non-Profit sector and over the last 25 years has lead four different organizations as the Chief Executive Officer through transition and growth. 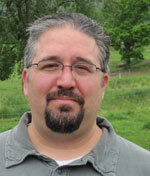 He specializes in administrative and fiscal challenges, collaborative solutions, and program development. Over the past ten years, Cashman has developed and coordinated over $75 million in foundation, local, state and federal grants for various agencies. Cashman holds a M.S.W. in Administration-Social Work from the University of Albany, School of Social Welfare and a B.A. in Sociology from SUNY-Plattsburgh. 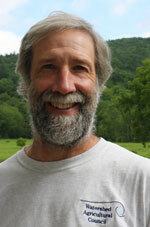 He also is active in community service, serving on various boards and is a firm believer in the preservation and conservation of forest and farmland and the connection of working landscapes for sustainable economies. An avid skier, hiker and golfer, Craig lives in Norwich, NY and enjoys sharing the benefits of a rural culture and the natural beauty that New York State has to offer with his three children and wife. tartale@nycwatershed.orgThomas is the Finance Director for the Watershed Agricultural Council located in the Hamden office. Since late 2008, Thomas has been working with Finance Staff, Program Managers and Directors, key partners (SWCD and CCE), and our major funders (NYCDEP, US Forest Service and NRCS) to maintain the highest level of financial integrity while working with farm and forest landowners to preserve water quality in the Watershed. Before coming to the Council, Thomas worked for several nonprofit human services agencies. Thomas holds a B.S. in Accounting and Business Economics, with a minor in Finance from SUNY College at Oneonta. 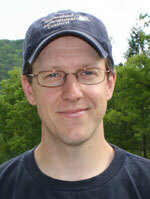 Thomas lives in Oneonta with his wife Maureen, daughter Abigael, son Declan and two golden retrievers, Harley and Tate. 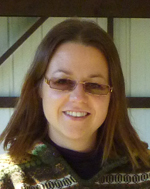 sbolton@nycwatershed.orgSara Bolton is the Executive Assistant for the Forestry Department since September 2013. She coordinates the administrative activities of the highly active, field staff and works with landowners, answering their questions and directing them to the appropriate resources. Sara holds a B.A. in Elementary Education from SUNY Oneonta and worked 11 years at Cooperstown Dreams Park where she gained all of her human resource, office and customer service skills. Sara lives by the mantra: You learn something new every day! 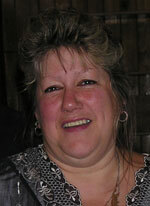 Edna Boroden is the Payroll, Fringe Benefits and Data Processing Administrator since February 2007. In this capacity, Edna is responsible for processing all phases of the organization’s payroll and fringe benefits. She also spearheads data input into the Council’s databases and generates programmatic data reports. Before coming to the Watershed Agricultural Council, Edna worked for 18 years as the Accounting Manager for a large electronics company on Long Island, which manufactured Microwave Components for the Defense Industry. Edna has an A.S. in Respiratory Therapy from Nassau Community College having worked in the health care industry for 12 years before returning to college and studying for her bachelor’s in Business and Finance. An avid environmentalist, Edna is a supporting member of Greenpeace since 1976. “Taking into consideration our beliefs, it became hard for my husband, Doug and I to stay on Long Island. They have developed it to death, and all of the wonderful things that were Long Island are disappearing. I really appreciate the mission of the WAC whose programs keep the Watershed so pristine. It feels good to belong to a group of dedicated co-workers who feel the same as I do.” When not working at the Watershed Agricultural Council, Edna often visits her family on The Island where she is an Emergency Medical Technician in the Copiague Fire Department of which she has been a member for the past 30 years. ldeysenroth@nycwatershed.orgLeslie Deysenroth is the Contract and Grant Administrator here at the Watershed Agricultural Council’s Hamden office. 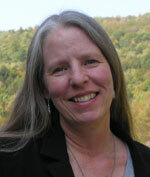 Since 2007, Leslie has worked in various capacities for the Agricultural, Forestry, and Finance Programs. In her current role, Leslie administers and monitors all of Council’s subcontracts and grants including NRCS, Forest Service and private foundation grants. Prior to her work at WAC, Leslie worked as a Contract Specialist for the U.S. Army at Ft. Drum in the Directorate of Contracting where she procured goods and services for the troops. Leslie holds a B.S. from SUNY Potsdam in Business Administration with a minor in employment relations. Leslie resides in Bloomville with her husband and two daughters on her in-laws’ farm, a pilot farm where some of the Watershed Agricultural Program’s first BMPs were implemented in 1992.
hhilson@nycwatershed.orgHeather is the Forestry Program Outreach Specialist at the Watershed Agricultural Council since 2004. Located in the Hamden office, Heather provides graphic and web support to the various Forestry Program areas, including outreach materials for foresters, loggers and landowners. She also manages the Urban/Rural School Based Education Initiative and plans various programmatic events including the “famous” Annual Forestry Program Dinner and Silent Auction. Heather has a B.S. in Marine Resource Management from the University of Aberdeen in Scotland. Before working at WAC, she managed a horseback riding ranch. She is a volunteer foster parent for a Border Collie rescue and owns three horses, regularly taking in the Delaware County scenery from horseback. garylamont@nycwatershed.orgGary has been working as a Land Conservation Specialist with the Watershed Agricultural Council’s Easement Program since 2006. His primary focus is helping landowners work through the multi-step process of developing conservation easements on their properties. Prior to joining the Council, Gary was employed by NRCS, initially conducting a two-year River Basin Study in the watershed beginning in 1992, and later serving as the Watershed Project Coordinator until retiring from NRCS in 2006. He holds a B.A. from Washington & Jefferson College and a M.S. from the University of New Hampshire. Between those two stints in college, he served in the U.S. Army for three years. He says that it has been extremely interesting and satisfying to see how this unique program has evolved over the years as it continues to provide protection for New York City’s drinking water while, at the same time, being a tremendous benefit to the local farmers, ag-businesses and contractors. ryannaatz@nycwatershed.orgRyan first joined the Watershed Agricultural Council (WAC) Easement Program as a Land Conservation Specialist in January 2009. After working in land acquisitions for two years, Ryan transitioned to Land Conservation Stewardship Specialist where he learned the relationship side of easements. After an additional two years in this role, Ryan was promoted to a newly created position, Easement Program Stewardship Coordinator. Responsible for the oversight of WAC’s easement portfolio and respective staff, Naatz was charged with the task of educating, building and maintaining long-term relationships between landowners and WAC. 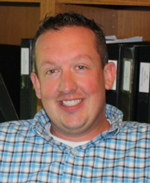 In March 2014, Ryan was promoted to Easement Program Director and now oversees the staff of five.Ryan attended SUNY Plattsburgh and dual majored in Environmental Sciences and Geography. After college, Ryan worked in several different positions for the Otsego County Soil & Water District. Ryan also owns his own environmental consulting firm, Naatz Environmental Solutions, based in Otsego County. sjseymour@nycwatershed.orgAs the Executive Assistant for the Watershed Agricultural Council’s Easement Program since 2007, Suzie is responsible for ensuring that essential administrative tasks associated with Acquisition projects, from contract signing to contract closing, are completed in a timely manner. She also maintains Stewardship files and processes reports to meet contract deliverable deadlines. 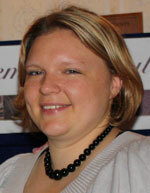 Suzie is responsible for coordinating with Acquisition and Stewardship staff to ensure that Program goals are achieved. Suzie graduated from Broome Community College with an A.A.S. 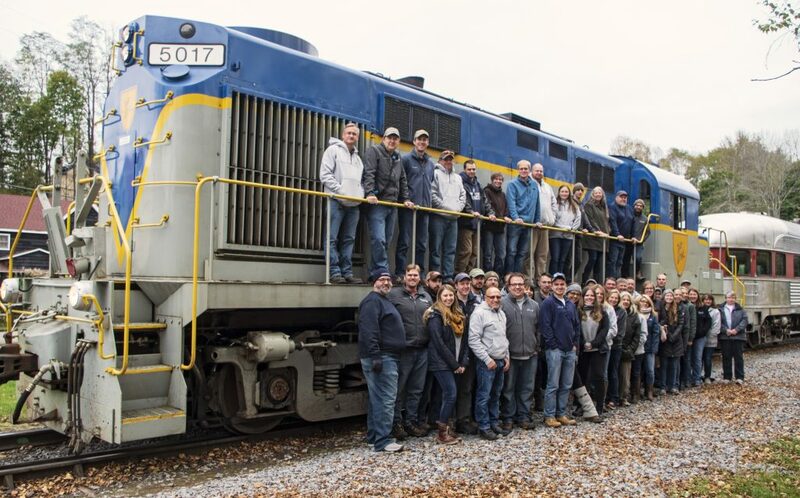 degree in Management, Marketing & Sales and is proud to be part of a team that protects farmland and water quality in perpetuity. 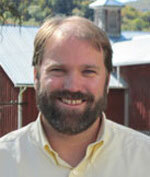 kvonberg@nycwatershed.orgKarl VonBerg joined the Watershed Agricultural Council’s Forestry Program in August 2008. As a Watershed Forester in the Hamden office, Karl helps loggers and landowners with forest management that promotes sediment and erosion control thus helping sustain the protection of water quality. What Karl likes most about his job is working one-on-one with with loggers and seeing the positive impact this teamwork can have on water quality.Karl holds a B.S. in Forest Science from the University of Vermont and an M.S. in Natural Resources from Cornell University. He brings a diverse background together as a WAC forester, having previously worked as a naturalist/educator, a Christmas tree farm manager, a forestry consultant and a procurement forester overseeing harvest operations and private landowner woodland management. When he’s not at work, Karl lives in, and works on, an old rambling farm house and grows Christmas trees. Karl’s Perspective: I like helping people see their role in water quality control and forest management, and getting them to utilize methods to promote good water quality and forest management. 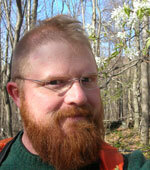 jvanbrakle@nycwatershed.orgJosh VanBrakle joined the Forestry Program in 2010. As the program’s Research and Evaluation Forester, Josh oversees landowner education efforts including management planning, model forests, and the MyWoodlot initiative. 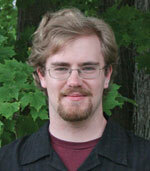 He is also responsible for the program’s research projects. An award-winning author, Josh’s publications include articles in Green Door and the Journal of Forestry.The Council’s go-to forestry speaker, Josh has given more than 2,000 presentations in his career. His audiences have included students, landowners, environmentalists, government officials, land managers, and foreign dignitaries. 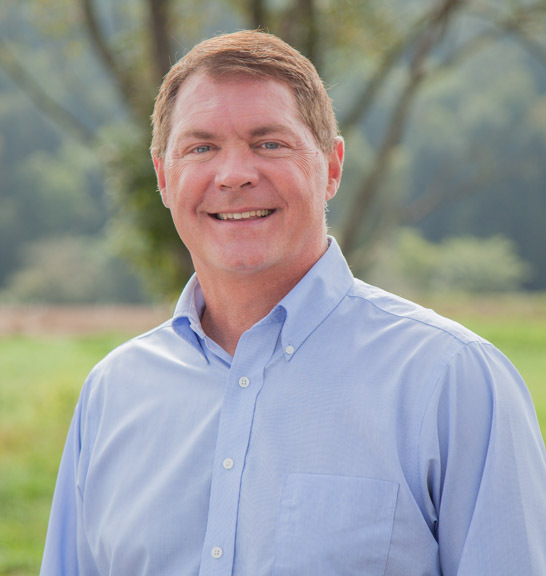 He has presented at environmental conferences across the United States, among them the Society of American Foresters, the American Water Resources Association, and the New York Water Environment Association.Josh’s perspective: Healthy forests, healthy water. mwaro@nycwatershed.orgMacKenzie joined the Watershed Agricultural Council in February 2013 as a Land Conservation Stewardship Specialist. Originally from Cooperstown, NY, MacKenzie has raised and shown Holsteins, Suffolk Sheep, Simmentals and pigs throughout the State.She graduated from Cornell University with a BS in Animal Science. After graduation, she worked with the NYS Department of Agriculture and Markets, Scenic Hudson, Otsego Land Trust, and Tug Hill Tomorrow Land Trust. 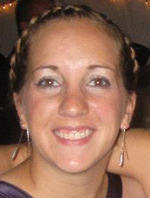 In 2012, she received her Master’s of Science in Environmental Studies from the College of Environmental Science and Forestry in Syracuse.MacKenzie feels that her love for agriculture and the environment make this position a perfect match for her to be protecting the lands in the NYC Watersheds.